Topical retinoids act to clear and prevent the formation of the microcomedo, the precursor to acneiform lesions. The microcomedo is formed from the occlusion of the follicular ostium by the androgen-induced production of sebum and the accumulation of stratum corneum cells (5). In normal skin, the corneocytes of the hair follicle's infrainfundibular region are small and form a noncontinuous, incoherent layer of cells that easily desquamate individually into the follicular canal (1,2,6). They then travel to the surface of the skin through the secretion of lipid-rich sebum (6). In contrast, the follicular epithelium of the microcomedo demonstrates abnormal, hyperactive keratinization, resulting in hypergranulosis and hyperkeratosis (2,5). Corneocytes are more cohesive and less able to migrate to the skin surface and instead become lodged within the follicle, occluding the expulsion of sebum, distending the follicular ostia, and thus forming the comedo (1,6). The anaerobic environment created therein favors the proliferation of Proprinibac-terium acnes (1,6), which subsequently creates an inflammatory response by secreting lipase, releasing chemotactic factors, and recruiting polymorphonuclear lymphocytes (PMNs) (1,2,6). Bacterial lipases break down sebum triglycerides into glycerol, a growth factor for the bacteria, and free fatty acids that are comedo-genic and proinflammatory (1,6). The lipases and cytokines produced by the recruited PMNs each contribute to the breakdown of the follicular wall, eventually causing microcomedo rupture. The release of sebum, keratin, and free fatty acids induces an inflammatory foreign body reaction, resulting in the formation of inflammatory papules, pustules, and nodules (1,5,6). Therefore, by targeting the microcomedo, topical retinoids also help prevent the formation of inflammatory lesions that have the potential to heal with scarring. By preventing the formation of new microcomedones, topical retinoids produce acne remissions that can be successfully maintained for extended periods of time (2,7). These effects occur in what has be referred to as the "ideal state," in which retinoids could be used in sufficient concentrations and frequencies to obtain the desired effect. Unfortunately, for many patients, the irritant side effects of these drugs—erythema, xerosis, burning, desquamation—can impede 100% adherence and improvement (2). Unlike oral reti-noids, the topical retinoids do not decrease production of sebum, but instead act by decreasing inflammation, normalizing keratinocyte differentiation, and increasing keratinocyte proliferation and migration (8,9). 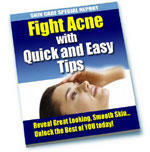 I am sure that every one of you is familiar with acne. Almost all of us got this skin disorder, right? 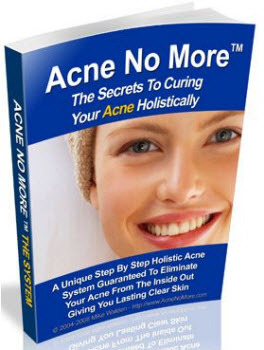 Well, technically known as acne vulgaris, this skin disorder affects millions of people from different walks of life, annually.